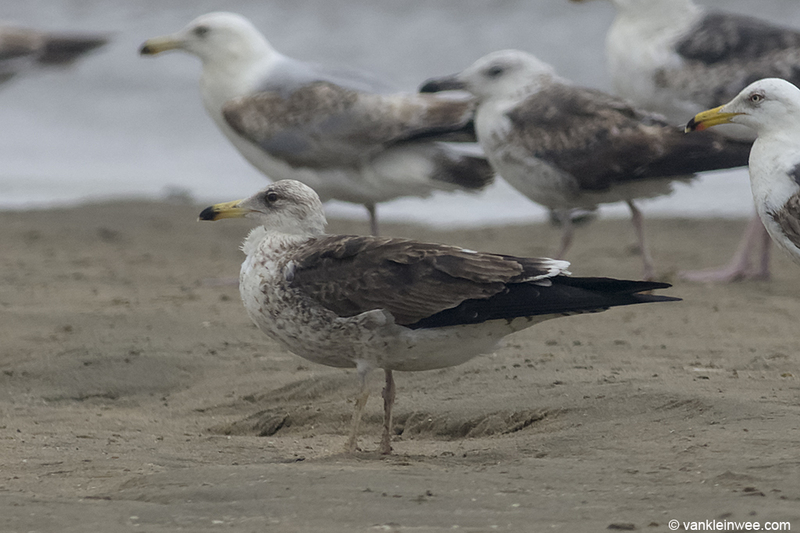 A beautiful second-calendar year (presumed) Baltic Gull Larus fuscus fuscus was present today at the sand suppletion works at Noordwijk aan Zee, The Netherlands. 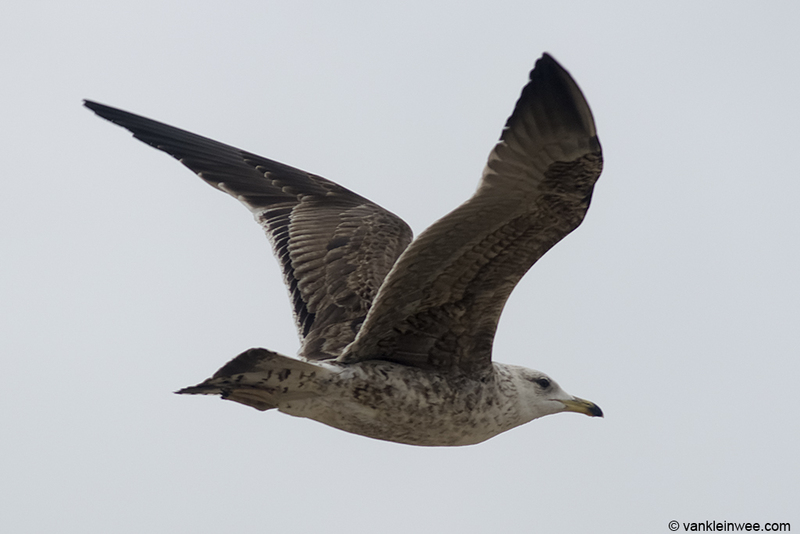 Presumed 2nd-calendar year Baltic Gull. Noordwijk aan Zee, The Netherlands, 22 Jun 2013. 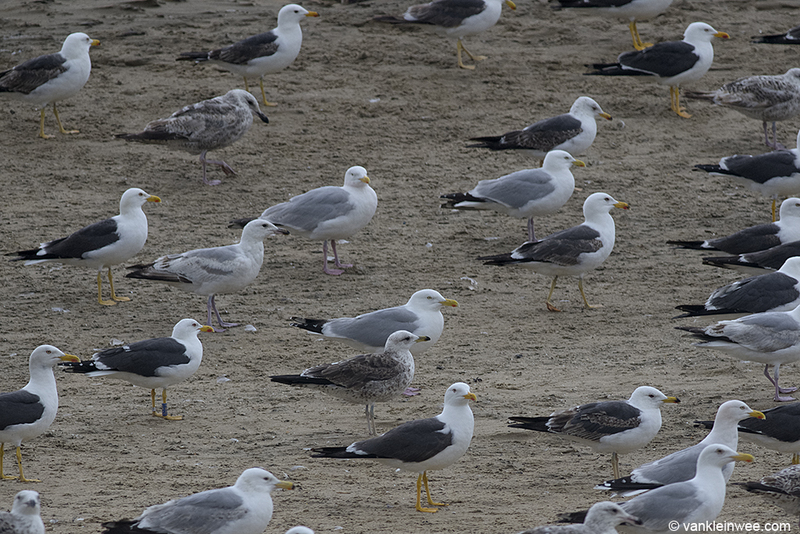 Presumed 2nd-calendar year Baltic Gull (center, bottom) among Lesser Black-backed Gulls and Herring Gulls. Noordwijk aan Zee, The Netherlands, 22 Jun 2013. 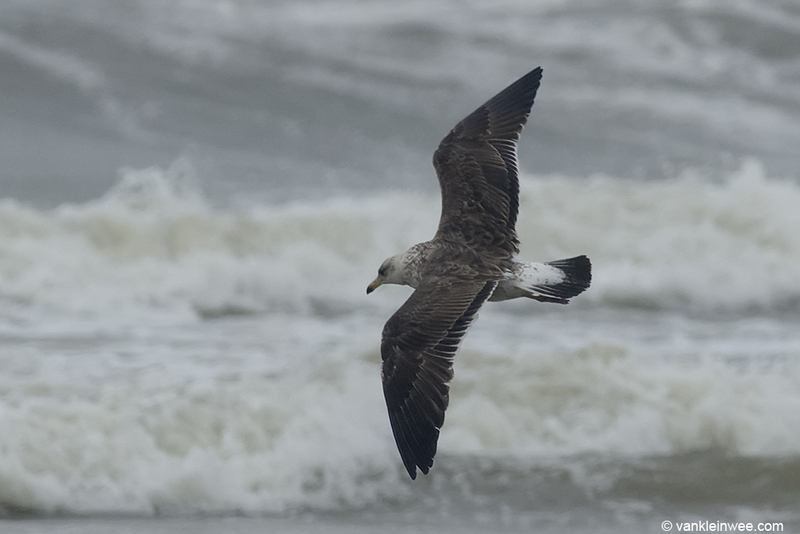 Baltic Gulls are a rare species and can officially only be determined when a proven background is available (meaning: it has to be fitted a ring and has to have a known background). However, because of their advanced moult sequence compared with Scandinavian Lesser Black-backed Gulls Larus fuscus intermedius and Western Lesser Black-backed Gulls Larus fuscus graellsii, Baltic Gulls of a certain age and during a certain time of the year can be determined down to sub-species with a high degree of certainty. This is certainly true for second-calendar year Baltic Gulls in the month of June. 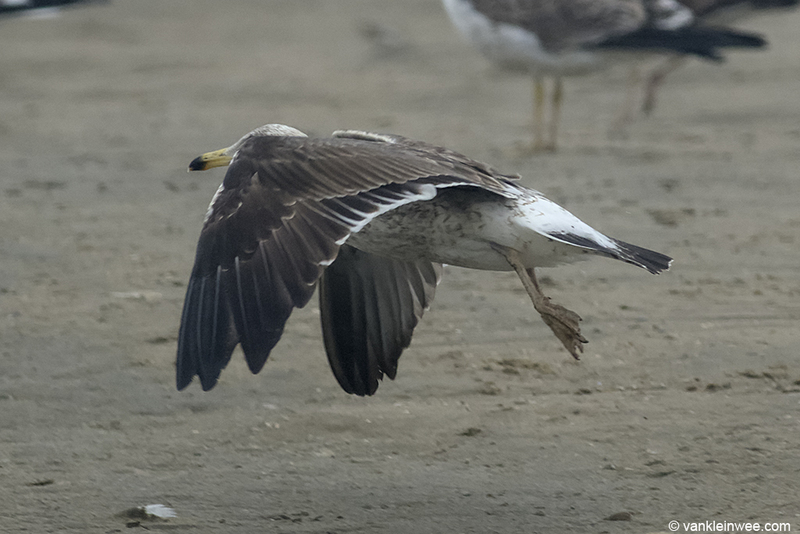 The individual in the photos shows a distinctive yellow bill and yellow coloration in the legs, but this also occurs in similarly aged graellsii and intermedius. 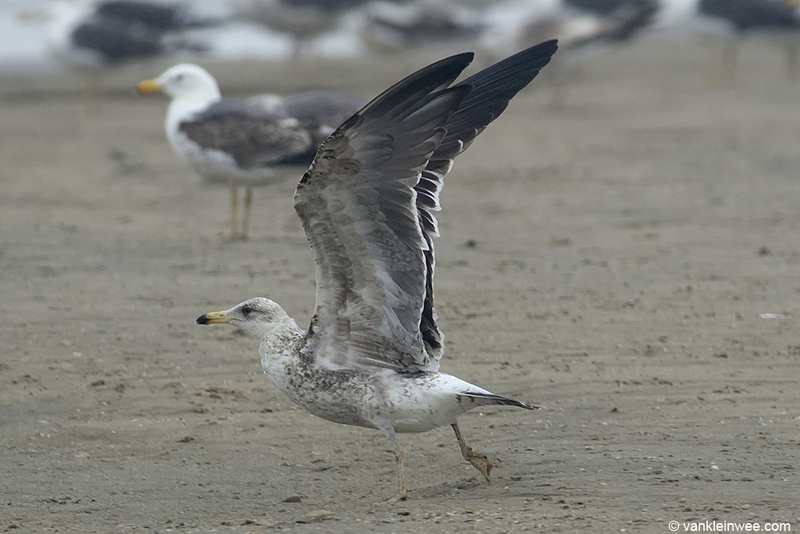 What sets it apart though as a pretty much definite Baltic gull are the fully replaced wing coverts, secondaries, primaries and tail feathers.